How many times have you bellied up to the bar for a standard wine tasting? Looking for a different elevated tasting experience that is more relaxed and catered to you? Join us for a Premium Wine & Cheese Tasting at Black Star Farms Suttons Bay. 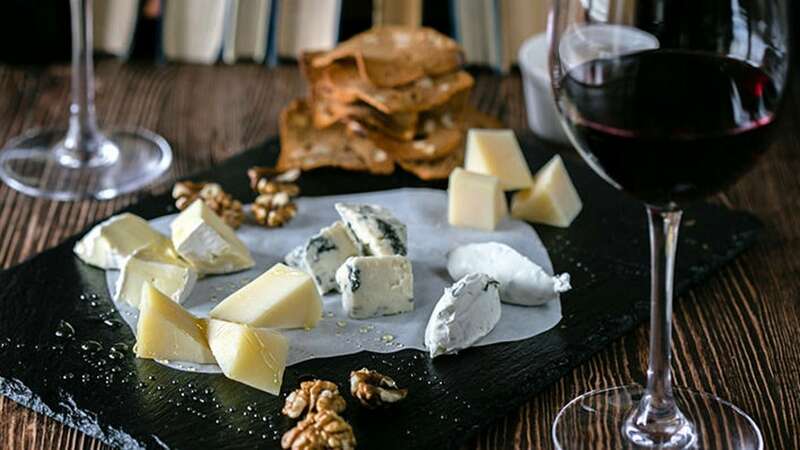 This guided table service tasting will include six wines chosen to compliment for your palate along with a souvenir glass, an artisan cheese board with house-made crackers and chocolate. Sit back and sip, nibble and excite your senses in the heart of Traverse City Wine Country. Offered at 12pm and 2pm, accepting parties of 2-8.